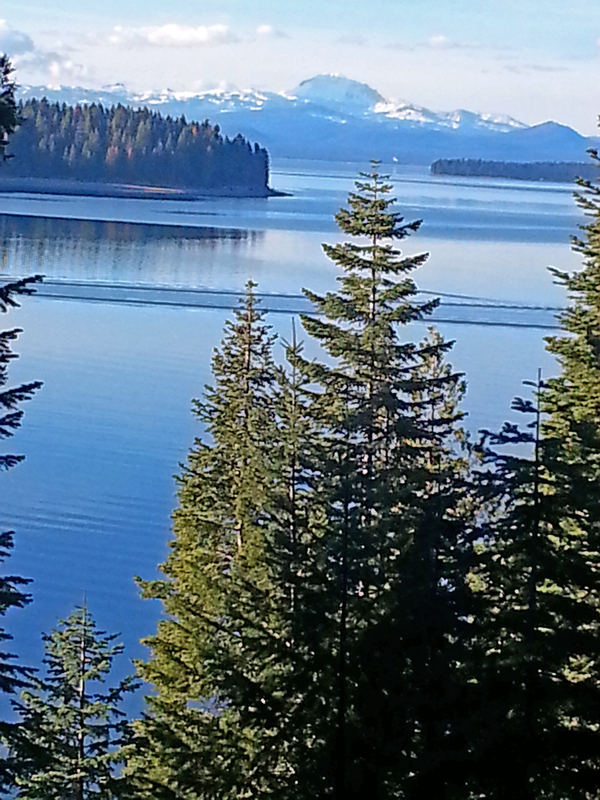 Blog | The Almanor Post | What's News? 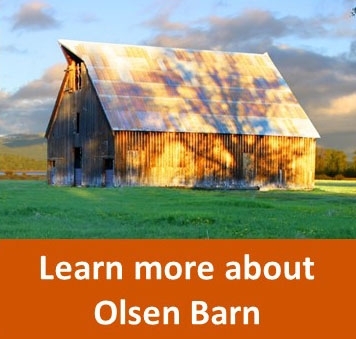 The Olsen Barn property is 107 acres of meadow, creek side forest, and wetland adjacent to Lake Almanor at the eastern entrance to the town of Chester, California. Besides the stunning vistas of Lake Almanor and Lassen Peak, the property is best known for the over 130 year old historic barn. The Olsen Barn property is both environmentally and culturally significant and has long been treasured by the surrounding community. 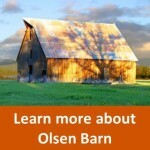 Save Olsen Barn–Now or Never! The Olsen Barn property appears frozen in time, altered little over the last century, but that could change if the property is not conserved. The property has recently changed hands several times and is again up for sale. Because of the threat that future landowners could diminish wildlife habitat or block public access, Feather River Land Trust secured an agreement in late January 2015 with the owner to purchase the property for permanent conservation and public recreation. Now comes the fun part–raising the money to make this happen. We have until April 15 to raise the initial $65,000 to secure an option to purchase it. Once we secure the option we will have until October to raise the additional funds. Once the option is in place we gain access to $400,000 in state water bond funding for protecting river parkways. 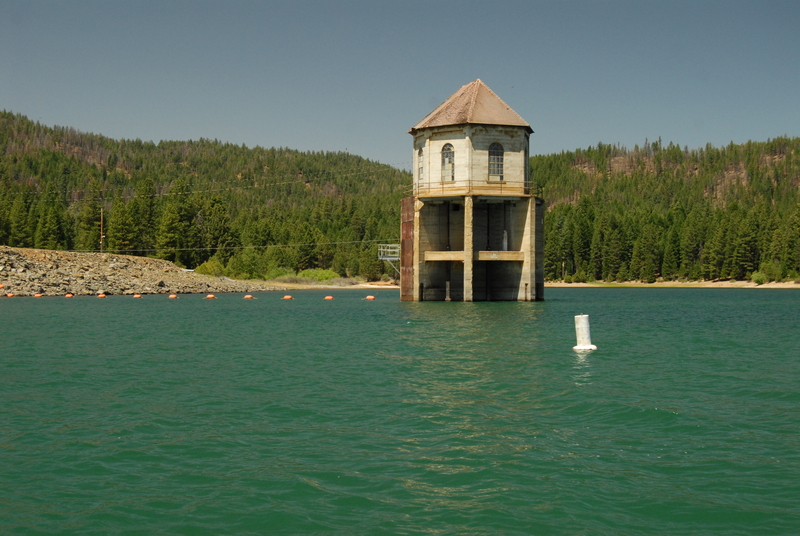 We have raised over $50,000 to secure the option and need a little more help from the Almanor Basin community to raise the remaining few thousand. We plan to hold a number of events this spring and summer to engage the community and help raise the additional funds needed to make protecting this community treasure forever. There will be another tour of the Olsen Barn property this Saturday, 28 March, at 1 p.m. Meet at the end of the Causeway on Highway 36 just east of Chester. Parking at the Collins Pines Rail Trail. Co-leaders will be Mike Yost, Ryan Burnett, Greg McIntire and Paul Hardy. Our Almanor Recreation Center is about to undergo a change! I am very excited to announce the Almanor Recreation Center will be undergoing some very positive changes. The Center will be taken off line for a few months, starting the first week in January, in order to allow for much needed improvements. Once again our community has stepped forward with the offer of help where help is badly needed. 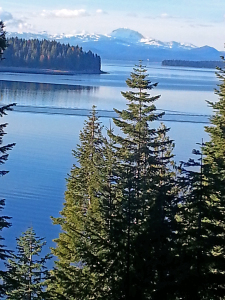 It has formed a team of volunteers who are willing to donate their time and skills to enhance what they see as a valuable resource to the Almanor Basin. This type of spirit is what makes living in our small, mountain community so wonderful! 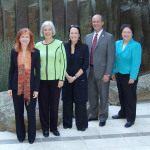 The Center was originally constructed with grant funding. There were a number of things that were not completed due to lack of money, as well as the need to complete construction within the timelines of the grant. Since completion, we have been looking for opportunities to finish the work we began almost eight years ago; however, the County budget never presented the ability to fund the work. When the senior nutrition site was closed in Greenville a few years ago, we were able to get their kitchen equipment donated to the Center. This equipment has been stored, awaiting the day that Plumas County could fund and complete that phase of the work. 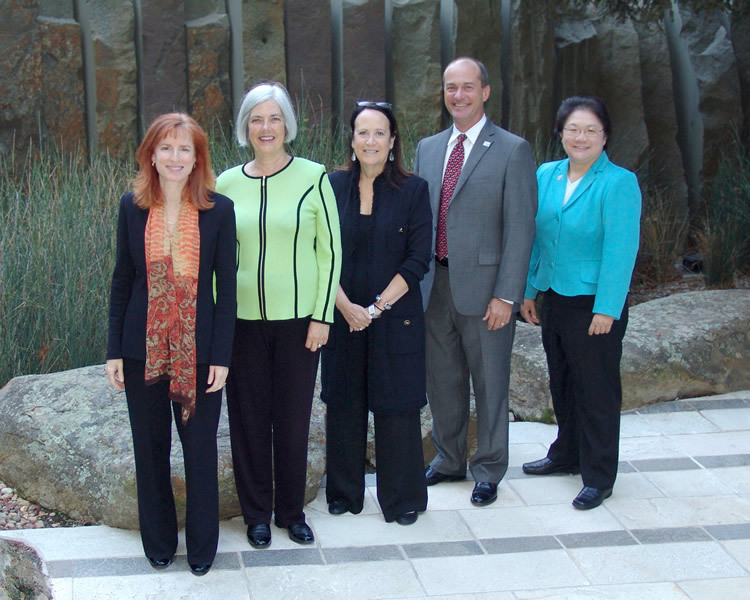 Last June, the County budget process presented an opportunity and money was allocated to the upgrade. While the funding will cover the costs of materials, the project would be unattainable without the dedicated community volunteers. Changes will include an upgrade to the kitchen, electrical service, exterior lighting and any other needs that we are able to address within the resources available, in the labor pool and money. The Center will continue to be a work in progress, and someday, a future phase will include completion of the parking lot. The present phase of work has been scheduled for the winter months when the volunteers are available during our “off-season”. While planning work for the Center, it became obvious that we needed to include the Memorial Hall in a coordinated approach at best utilizing both without redundancy. Achieving a balance between the two facilities is indeed a challenge. There is never a lack of needs and wants; only a lack of available dollars. Future upgrades to Memorial Hall, which serves many community needs as well as that of our designated emergency shelter, will certainly enhance her functionality. Improvements to the Recreation Center and Memorial Hall will be evaluated in a coordinated manner so as to compliment one another. This work is truly a community driven project. 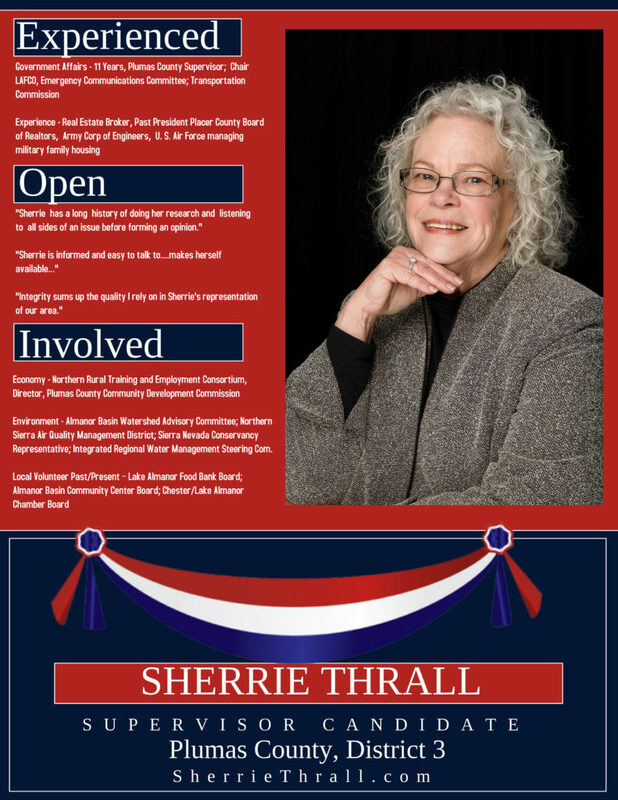 Please revisit my blog as we progress with the plans for the Memorial Hall and her role in our community. The Center will be unavailable for any use during this time; individuals and groups who regularly use it shall be directed to the Memorial Hall. Although work on the ARC will continue to be a work in progress as time, funding and community support allow, it is such a pleasure to finally see this phase, scheduled for months and planned for years finally becoming a reality! Our town hall meeting on 27 August 14 was well attended. Forest Service Travel Management (TMP) Subpart C, “Over the Snow Vehicles” (OSV) was the topic of the evening. This Subpart deals with access by OSV to National Forest lands. Concerned citizens were given an opportunity meet with representatives from both the Lassen and Plumas National Forests. Lassen NF will be the first of five national forests to start the process of evaluating routes and access via OSV. They expect to start their public meetings sometime in October. This is the time, to get the word out to everyone interested in travel management on public lands. We need to engage now, to be certain our concerns and opinions are considered early in their planning process. You have influence; but, only if you engage with large numbers and many voices. If your voice is not heard early in the planning stages, it will be too late down the road; most likely you will be displeased with the result. Many thanks to our two forest supervisors, David Hays, Lassen National Forest Supervisor, Earl Ford, Plumas National Forest Supervisor and to Kathleen Nelson, District Ranger, Almanor Ranger District, Michael Donald, District Ranger, Mt. Hough Ranger District and their staff for attending and participating. All of the above contact phone numbers are within the 530 area code. You do not have to wait for future meetings! You can and should contact the folks listed above with your concerns and comments, by phone and email. We already have a graphic example of the route we don’t want to go in TMP Subpart B – Off Highway Vehicle (OHV) use of National Forest roads; nor does the Forest Service. The outcome of that process has resulted in law suits, including Plumas County. When that route is followed, even if you win, you lose. At the town hall meeting, a lot of emphasis was placed on the National Environmental Policy Act (NEPA). The reason the Forest Service has to redo their Subpart C plans is due to the fact they were sued over the perceived inadequacy of their prior NEPA work, albeit updated. NEPA is a very detailed process of public engagement/input and scientific evaluation of any proposed Federal project. I plan to write more about NEPA in a future blog. However, by viewing the YouTube video series of the Town Hall Meeting, you will have a very good understanding of NEPA through the presentations made by the Forest Service staff. I have created a YouTube channel under Almanor Post. You will find the links, along with other information related to the issues on this website: Travel Management Plan Subpart C (OSV) . You can watch the entire meeting on TMR Subpart C, at your leisure. If you were unable to attend, or were there and want to review the discussions, please take this opportunity to view the video series. It is very informative! Again, I would like to thank everyone who participated or attended. I will be posting additional information as it becomes available. 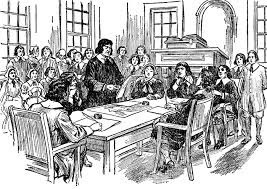 TOWN HALL MEETINGS – ARE THEY A THING OF THE PAST ? With the advent of texting, tweeting, facebooking and other social media, are Town Hall Meetings a thing of the past? I hope not! Since the very beginning of our country, the town hall meeting has provided a forum for citizens and their elected representatives to get to know each other, exchange ideas and share information. I am planning to start holding Town Hall Meetings and it is my hope that you will find them of value and worth attending. My first meeting will be on Wednesday, August 27 at 6:00 pm in the Almanor Recreation Center on Meadowbrook Loop, Chester. The subject of this meeting is the National Forest Travel Management Plan (TMP) Subpart C. This Subpart deals with “over the snow vehicles” ( OSV – snowmobiles) and their use of National Forest trails. 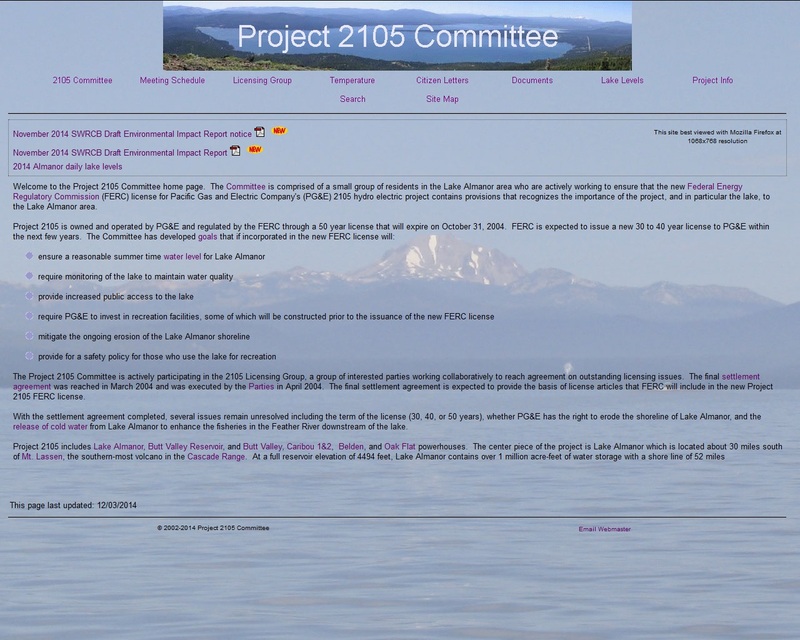 Both the Lassen and Plumas National Forests are in the very early stages of addressing Subpart C. Now is the time for us to become informed and engaged in their planning process. It is critically important that we are involved from the first stages of planning so that our concerns are included as they move through their processes. 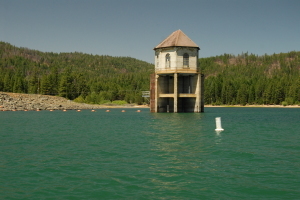 Representatives from both the Lassen and Plumas National Forests are planning to participate in the meeting and will be available to answer questions and hear your concerns. There will be at least one of the two Forest Supervisors in attendance as well.